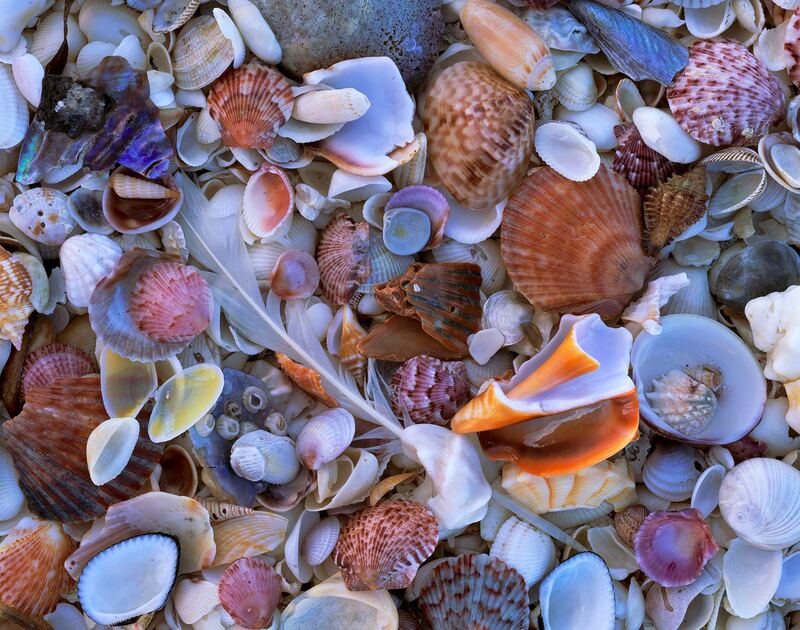 The island beaches of Sanibel and Captiva are famous for their shells. Unlike most of Florida, they have also resisted over-development in favor of local business and eco-tourism. After walking the beach, my fiancee and I emptied our pockets of shells into a pile near the tide line so that others might enjoy them. Pictured here are a variety of clams, scallops, murexes, conchs, olives, whelks, coquinas, mussels, and others found in the Gulf of Mexico.